Life does not come from events, but from us. Everything that happens outside has already been. Therefore whoever considers the event from outside always sees only that it already was, and that it is always the same. But whoever looks from inside, knows that everything is new. The events that happen are always the same. But the creative depths of man are not always the same. Events signify nothing, they signify only in us. We create the meaning of events. The meaning is and always was artificial. We make it. Because of this we seek in ourselves the meaning of events, so that the way of / what is to come becomes apparent and our life can pow again. That which you need comes from yourself, namely the meaning of the event. The meaning of events is not their particular meaning. This meaning exists in learned books. Events have no meaning. This meaning of events is the supreme meaning, that is not in events, and not in the soul, but is the God standing between events and the soul, the mediator of life, the way, the bridge and the going across. 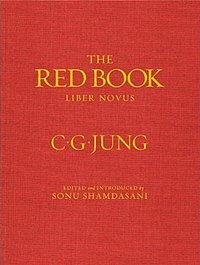 ~Carl Jung, The Red Book, Page 239.